Book your summer 2019 Rangeley vacation today. 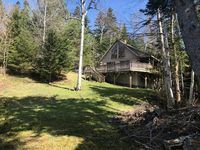 Property 1: Book your summer 2019 Rangeley vacation today. It's not too early to book your fall or winter cabin escape on Rangeley Lake! Property 4: It's not too early to book your fall or winter cabin escape on Rangeley Lake! 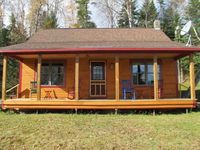 Enjoy the experience of renting a Niboban Cabin on Rangeley Lake! Property 6: Enjoy the experience of renting a Niboban Cabin on Rangeley Lake! Great rental for the whole family! Property 7: Great rental for the whole family! Property 10: Rustic Rangeley Cabin on Lake w/Porch & Mtn Views! Adorable guest cottage - perfect for overflow when renting Loon Lake Retreat! Property 11: Adorable guest cottage - perfect for overflow when renting Loon Lake Retreat! Rangeley Overlook Cabin - Spectacular View !! Property 14: Rangeley Overlook Cabin - Spectacular View !! Great for family get togethers. Property 18: Great for family get togethers. Adorable cabin in Saddleback Lake Lodge cottage community. Property 32: Adorable cabin in Saddleback Lake Lodge cottage community. Two bedroom with a loft cottage on Saddleback Lake. Property 35: Two bedroom with a loft cottage on Saddleback Lake. Views of Saddleback Lake and the mountains. Property 39: Views of Saddleback Lake and the mountains. Spacious cottage in the Saddleback Lake Lodge cottage community. Property 45: Spacious cottage in the Saddleback Lake Lodge cottage community. Newly renovated 3 bedroom property off Dallas Hill Road - easy to snowmobile from! Property 46: Newly renovated 3 bedroom property off Dallas Hill Road - easy to snowmobile from! Charming cabin on the water at Saddleback Lake. Property 49: Charming cabin on the water at Saddleback Lake. Nice cabin on the pond. Remote setting is nice and quiet. Cute clean and homey cabin! Lots of ameneties that aren&rsquo;t listed. Has a dryer, coffee maker, toaster. Set up primarily like your home would be. Also direct access to the lake which connects to a lot of snowmobile trails. Enjoyed our stay. Great place for off the grid!